Presidential candidate and former foreign minister Abdullah Abdullah speaks during an election campaign rally in Aybak, the provincial capital of Samangan in northern Afghanistan. "The dark days are ending, the light is waiting for you. 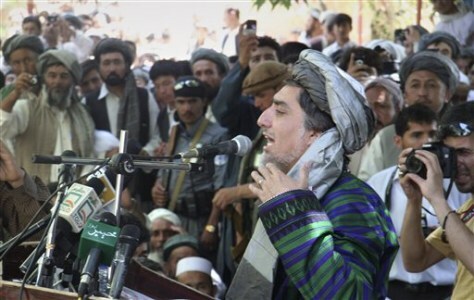 Change and hope are waiting for you," Abdullah told a crowd in the northern Afghan province of Samangan this week.